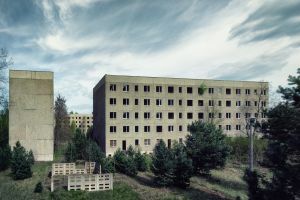 Recently I learnt that native English speakers use ”plattenbau“ as a loanword to describe this kind of building made from large, prefabricated concrete slabs. 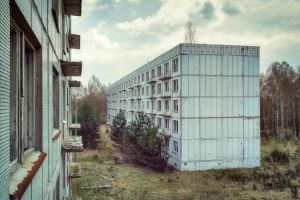 Plattenbaus (the correct German plural is ”plattenbauten“) were frequently built in the sixties and seventies predominantly in Eastern Europe. 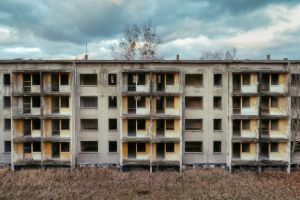 I am still fascinated with abandoned plattenbau housing estates, because they tell so much about our recent history in Germany. 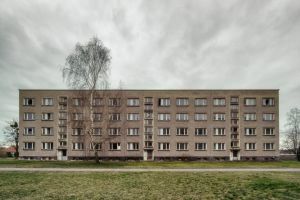 In the former GDR many plattenbaus were built to replace older living quarters partially destroyed by WWII bombings. 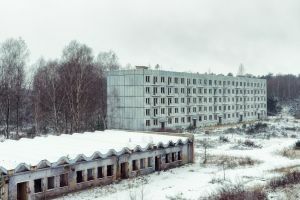 Due to their modern facilities such as central heating and continuous hot water supply, they were much valued living quarters in the GDR. 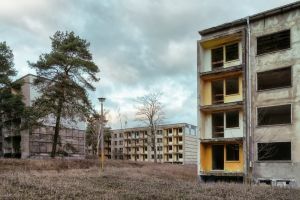 After the collapse of the GDR and the German reunification in 1990, most plattenbau estates became obsolete and quickly lost their former popularity. 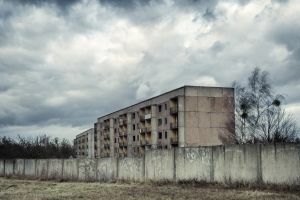 When people started to migrate from the East to the West to escape from the massive unemployment problem, many plattenbaus were either left abandoned, or converted to subsidized housing areas for the less wealthy. 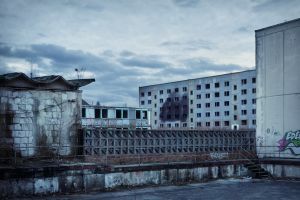 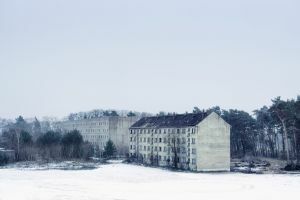 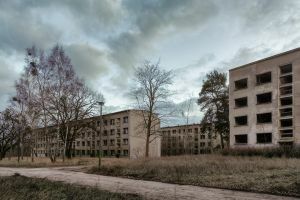 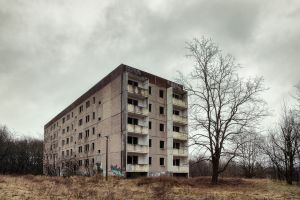 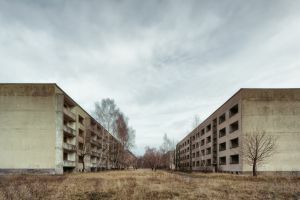 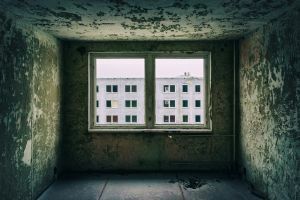 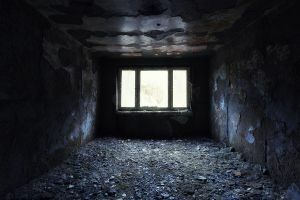 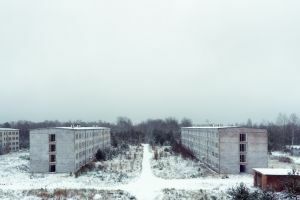 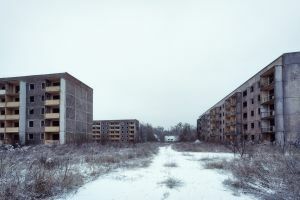 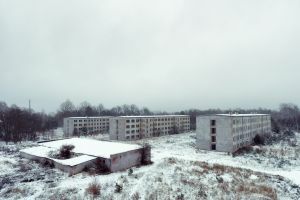 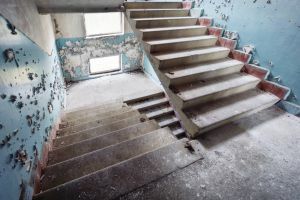 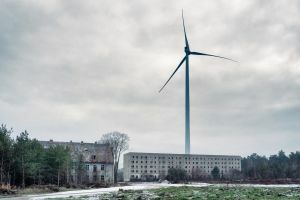 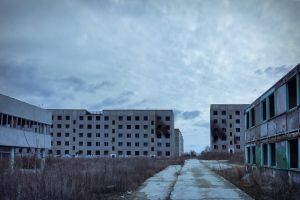 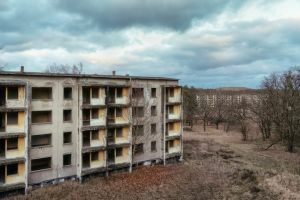 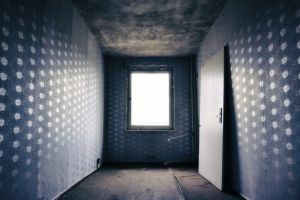 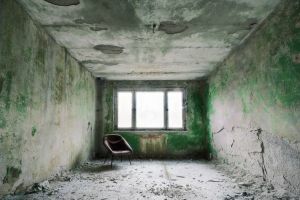 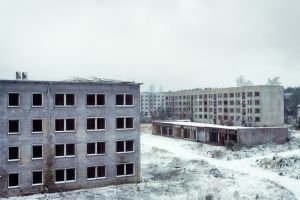 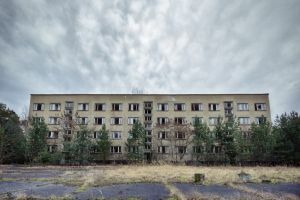 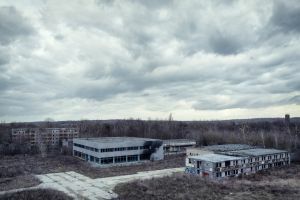 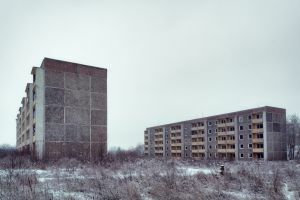 Especially in the closed-off areas occupied by the Soviet forces in the GDR, plattenbaus built for the soldier’s families were instantly abandoned in 1993 when the Soviet forces retreated, and have remained empty since. 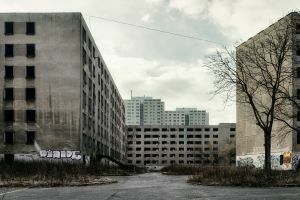 In my project I have focused on these buildings. 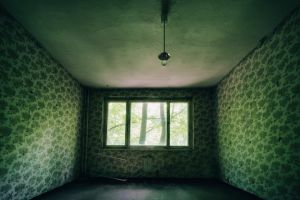 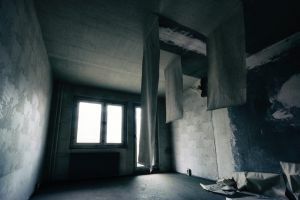 The melancholic pictures remind of the people who once lived their daily lives there, little details such as wallpapers and lamps tell about the zeitgeist (another German loanword) in these days. 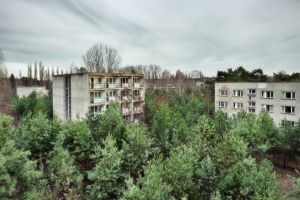 Meanwhile many plattenbau facades are hidden behind fast-growing trees, especially during the summer season when they carry leaves. 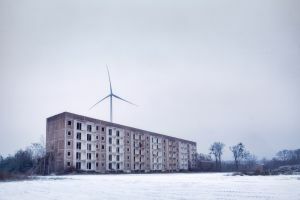 So my photos also illustrate how quickly these abandoned places are re-conquered by nature.